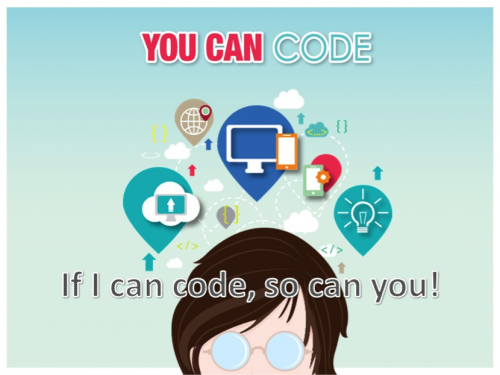 To change our employees’ perception of technology and develop their logical reasoning skills, programming capabilities, as well as computational thinking ability, the “You Can Code!” campaign was rolled out in 2015. We aimed to change our employees’ perception of technology and turn them into confident users of technology so that they would meet the demands of the fourth industrial revolution and we would sustain our leadership position in the apparel business. 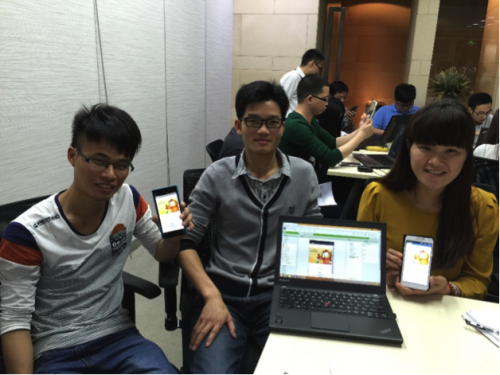 The main driver of the campaign was the ‘App Inventor’ application. To promote the notion of ‘If I can code, you can code too’, we first engaged the directors and senior managers to promote the campaign and learn the skills. Then, we recruited a group of change agents and ambassadors to do peer learning and strengthen the learning culture. This ‘all-in’ approach encouraged everyone to engage in the campaign. 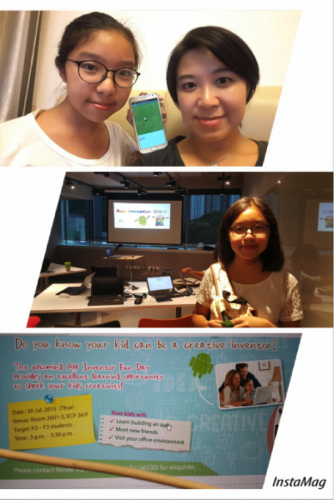 We engaged board members, white-collar employees, sewing workers, and children of employees in ’1-hour coding’ workshops. We completed 28 workshops for 1,168 participants with over 2,430 training hours, including employees and their children from 10 different locations within 10 months. 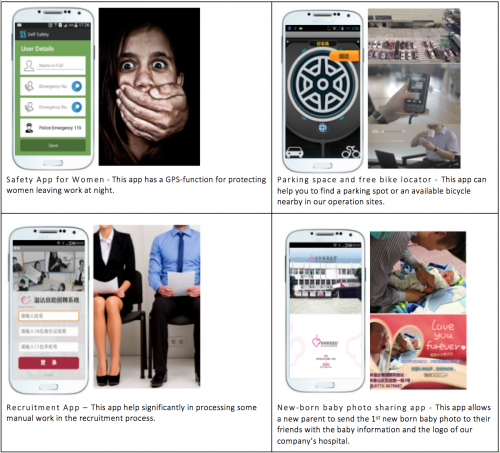 We changed attitudes, upgraded skills and built knowledge through the development of mobile app. We used fun and self-directed learning to inspire innovation, problem-solving, and collaboration. This campaign went way beyond just training, and nurtured a culture of innovation. Non-IT employees can perform “IT” tasks and even build prototypes by themselves. They are now able to think from system perspective with logical mindset. 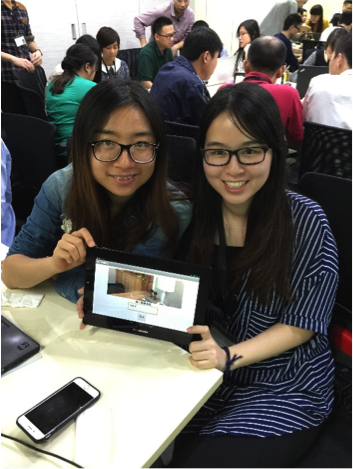 Besides fostering the creation of numerous apps that improves work and live, Esquel is partnering with different institutions to promote App Inventor so that the broader community will benefit from the value created and the improved quality of living. 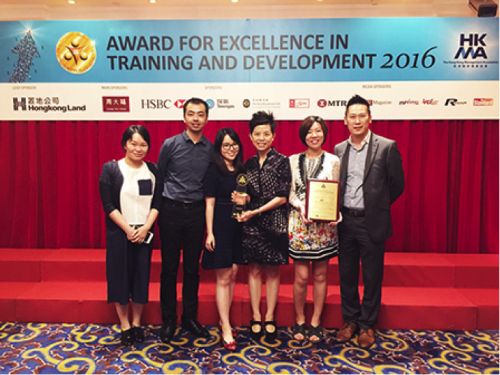 Recently, Esquel’s “You Can Code!” campaign was awarded the Most Innovative Award, and Silver Award, in the Development Category of Campaign Awards at the Hong Kong Management Association’s (HKMA) Excellence in Training and Development 2016. With its first edition dating back 26 years ago to 1990, the Awards has offered public recognition to organizations and trainers who demonstrate excellence in human resources development and training.